Working with established manufacturers, including Novoferm garage doors, we pride ourselves on being able to offer superior products and excellent customer service. Wessex Garage Doors is a leading provider of professional garage door services with over 25 years’ industry experience in Surrey, Sussex and Kent. 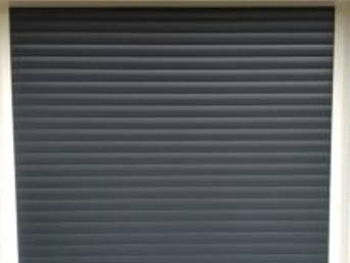 In terms of quality, value for money and peace of mind, Wessex Garage Doors are hard to beat. Our technical team will supply, fit and repair all garage doors, with secure locking and a 12-month warranty available on all new doors. Founded in 1955, Novoferm is one of the largest European system suppliers of doors, garage doors, frames and operators for private and commercial applications. The company’s multinational operation spans Europe and Asia as well as many other countries. A robust design with double skin insulation in varying thicknesses, door sections are made of galvanised sheet metal coated with a hard-wearing polyester-based paint. To achieve a rustic look full of natural vibrancy, sectional garage doors are also manufactured in solid Nordic pine or African okoume wood from controlled, renewable forests. 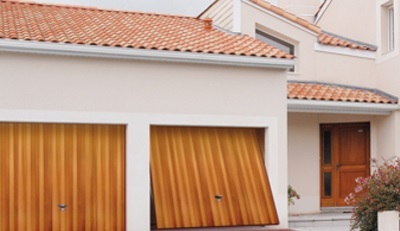 Novoferm’s sectional garage doors are made to give you years of enjoyment and come with a 10-year warranty. Available in a large choice of models, materials, colours and finishes, these garage doors offer excellent value for money. Galvanised and powder coated for double protection against corrosion, they are warp-resistant and extra robust and come with a 10-year warranty. The 3-point central locking system gives superior intruder protection, while an automatic cut-off ensures personal safety too. Available for both sectional and up and over garage doors, matching side doors are available in all garage door patterns and colours. A choice of garage door operators can be fitted to any door, to give you the added convenience, security and comfort of an electric garage door. All Novoferm garage doors and operating mechanism are manufactured and tested to strict ISO 9001 European safety requirements and specifications. The Novoferm ISO45 is an insulated steel sectional garage door – one of the more popular that we supply at Wessex Garage Doors. This premium door is made up of individual sections connected with hinges and filled with 45mm insulation. This means it is extremely practical as well as having a simple and classic appearance. A simple and stylish up-and-over style door, the Novoferm Thornby range is extremely popular with homeowners across the UK. Created in premium galvanised steel, this is a highly durable and long-lasting product that is easy to automate and perfect for almost any style of home. All Novoferm models are built to an exceptionally high standard. 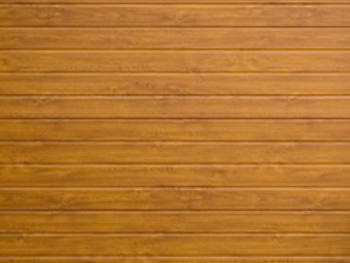 The Novoferm Gatley is a very popular timber up-and-over garage door. A beautiful design with glazed windows at the top and the appearance of side-hinged doors that can provide any home with a real aesthetic boost. The natural beauty of the timber is undoubtedly a status symbol for any home and can do a lot to enhance the kerb appeal of your property. 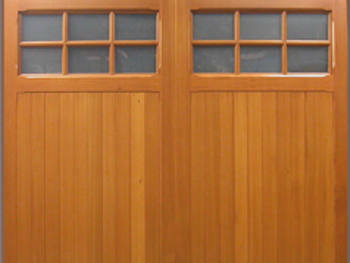 Are you interested in having roller garage doors installed at your home? The Novoferm Novoroll 77 is a very popular model of insulated roller doors that we often recommend to our customers at Wessex Garage Doors. Automated as standard, the doors are quiet, fast and reliable with remote controls. If you would like to know more about how Wessex Garage Doors can help, please feel free to get in touch. 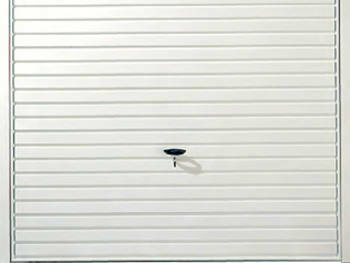 Just call our office on 0800 161 3733 or fill in the contact form here for any enquiry about Novoferm garage doors.